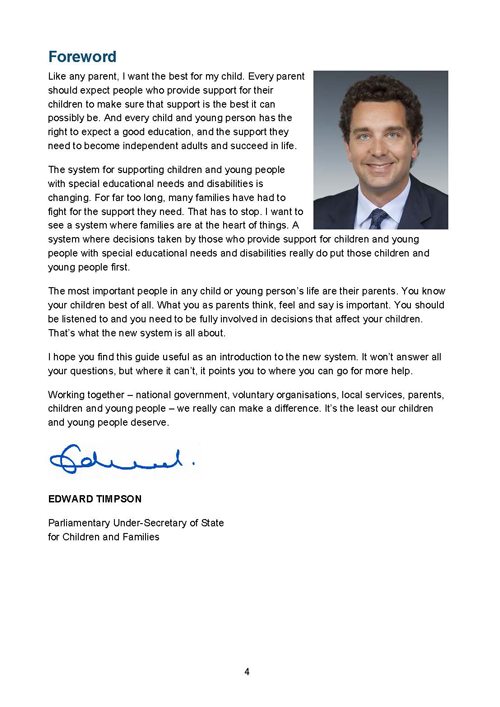 This is an A4 paperback version of the Department for Educations Guide for Parents and Carers on the new 0-25 SEND system, which came into effect on 1st September 2014. Purchasing this resource will give you 10 Reward Points! It covers: the law and statutory guidance on which the system is based; places to go for help and further information; details about changes to the system from 01 September 2014. It may also be useful for staff who are dealing with the parents and carers of children and young people with SEND.